The origins of the Vietnamese banh mi remain unclear. We do know that as early as the 1880s the term had been added to Vietnamese dictionaries. And by the 1920s and 1930s the banh mi had fully integrated into Vietnamese culture appearing in Vu Trong Phung’s book “The Industry Of Marrying Europeans”—an unconventional amalgamation of both nonfiction and fictional narratives observing women in the north who, as the title suggests, had made an industry out of marrying Europeans. 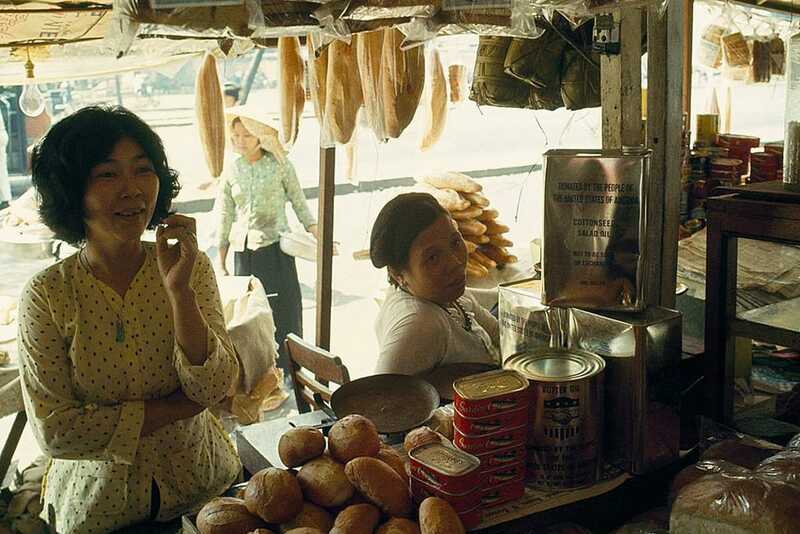 Although many claim the Vietnamese banh mi was entirely a result of French colonialism, historical documentation shows a clear distinction between the French baguette and Vietnam’s own rendition—although its European origins are obvious. From its French-inspired roots over 100 years ago, to becoming a global food trend, Here, Cocotte, a Ho Chi Minh City-based restaurant working to flip the cultural exchange, help us understand more about the journey of one of the world’s most beguiling sandwiches, the Vietnamese banh mi. Historical records note that the baguette was introduced by the French during their colonial occupation of Indochina. Not only did they bring Catholicism, but also their language and food. In the beginning, the French had to import wheat which upped the cost and made their bread only accessible to the upper classes—and often paired with coffee, ham, pate, or butter. One writer, author Andrew Lam, recalled his grandmother referring to the snack as banh tay, meaning “Western-style bread” in the local language. Even today, the French version can still be found in Vietnam. One Ho Chi Minh City restaurant, Cocotte, serves the French baguette with every meal, and with simple, yet classic fillings like terrine and rillette. Regarding etymology, the terms “banh” and “mi” have been under discussion by academics for some time. 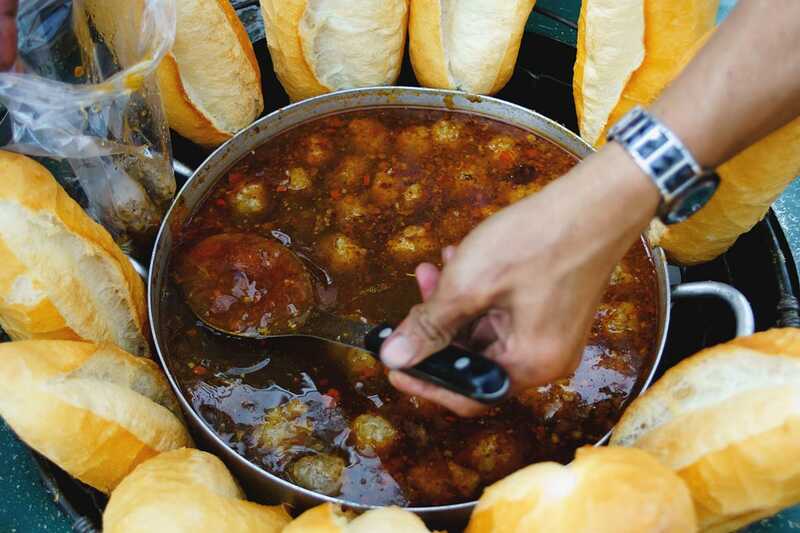 While some historians say the word banh has Chinese origins, the majority concur that banh mi stems from the french term “pain de mie” which translates as “soft white bread.” Even if the source of the words banh mi are still open to debate, we do know that by the early twentieth century, the sandwich was being consumed by all classes from the capital city of Hanoi, southward through rural areas, running all the way down to the Mekong region south of Ho Chi Minh City. 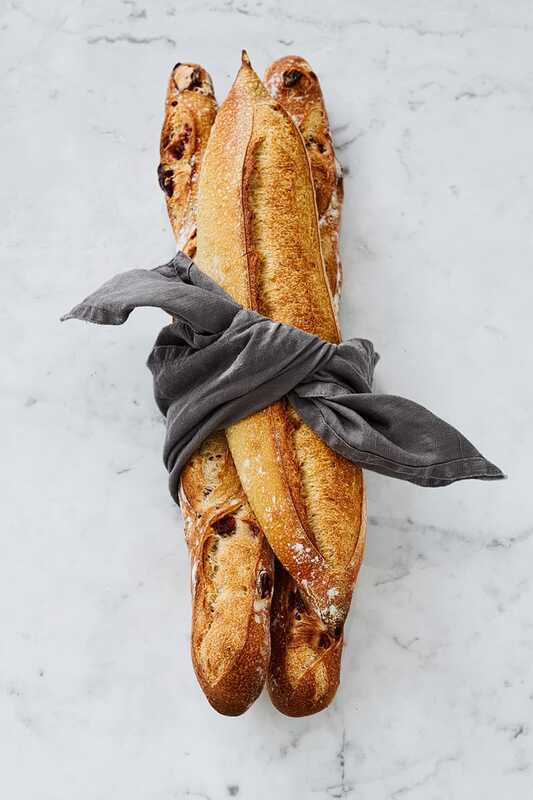 By the time the 1950s rolled around, the Vietnamese had begun to tweak the French baguette recipe in their own inimitable manner changing the ingredients to better suit their taste. Unlike the dense, French version, the Vietnamese banh mi became fluffier, with a crispier outer layer. In some cases, rice flour was even substituted in place of the traditional wheat-base. Many believe the baguette’s “airier” little brother was created because it was difficult to stuff the dense French version with local favorites like cilantro, chilis, pickled vegetables, and varieties of Vietnamese fillers like chicken floss, fish patties, pate, roasted pork belly, or a combination of locally-sourced cold cuts. And of course, the staple spread of Maggi sauce—a tangy Swiss-inspired condiment—is often slathered on for a nice salty kick. 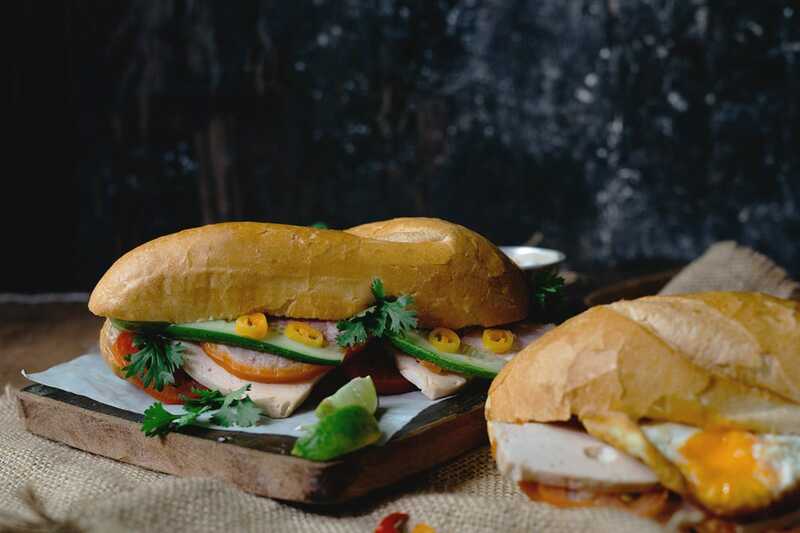 Whereas the French consumed their baguettes very simply, maybe with a bit of butter and a cup of coffee, the Vietnamese took the concept and turned it into the iconic sandwich that’s loved around the world today. 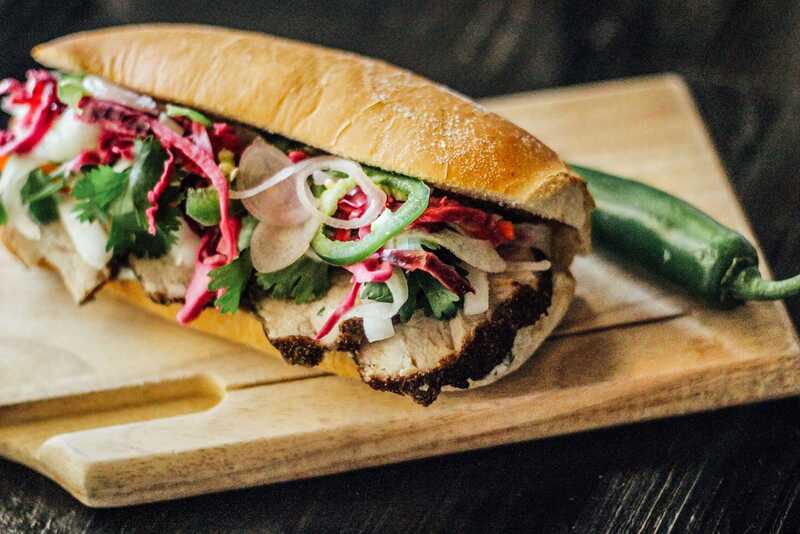 Today, banh mi is a trending culinary item around the globe. However, it was pho, the Vietnamese beef noodle soup, that launched Vietnamese fare into the international spotlight. In 1975 and in the years after—the beginning of Vietnam’s diasporic wave—the exodus planted people in countries like the USA and scattered them around Western Europe creating a demand for Vietnamese comfort food overseas. But if it was pho restaurants that led the way, banh mi followed soon after and Vietnamese banh mi shops began to pop up around some of the biggest cities in the Western hemisphere. From Ho Chi Minh City to California, and international hubs like London and Mexico City, today the banh mi is arguably one of the world’s most popular sandwiches. New York City has its own chain of Vietnamese sandwich shops called “Banh Mi Saigon”.There’s Mr. Lee’s Sandwiches hailing from San Francisco, an emblematic food truck started up by Chieu Le that’s been serving up the Vietnamese sandwich all across North America since 1982. There’s also the Banh Mi Boys in Toronto, and even a famous Vietnamese banh mi spot in Mexico’s capital called Nham Nham. London has Keu Soho and Banh Mi Bay. Then there’s Mr. V from Shanghai, and Tokyo’s Banh Mi Sandwich. Germany too is no stranger to Vietnamese food. Trendsetting Berlin-based restaurateur Nguyen Ngoc Duc, has opened seven Vietnamese restaurants, six of which are dotted across Germany including Maison Han, Royals & Rice Berlin, and Banh Mi Stable. The versatility of the Vietnamese banh mi is another reason the sandwich has been accepted by countries across the globe. Even in Vietnam, there are countless renditions, varying by region, and even from person to person. In order to provide some insight, we’ve put together a list of seven of our favorites.